How much detail is too much in a proposal? We've been doing a lot of proposal writing lately, and that has generated internal conversation about how much information we should be sharing in a proposal. We've been doing a lot of proposal writing lately. This is a great sign that economic conditions are starting to improve, at least for small to mid-sized businesses. It has also generated a lot of internal conversations about how much information we should be sharing in a proposal. A few years ago, it was good enough to give a company overview, relevant case studies, and the general elements that a campaign would include. However, marketing dollars are scarce today, C-suite executives are more involved, and past successes aren't always enough to sell a potential client on a firm's ability. More RFPs are requesting very detailed information about campaign elements, including media contacts, pitch angles, and Twitter influencers. While they have every right to ask, it's also an agency's right to withhold this information until a contract has been signed. Unfortunately, we've been burned by providing too much information in a proposal (as I'm sure others have, too) where no agency is hired, but, suspiciously, some ideas shared in the proposal started to show up in the marketplace. So, the question is: Given the reluctance of potential new business clients to hire a firm based on past successes and general campaign ideas alone, how much insight and information do you include in a proposal without giving away too much? Provide detailed, measurable objectives. This sets the tone for the proposal and shows that you understand the business well enough to formulate objectives that meet the company's business goals. Write in terms of outcomes, not outputs. This will allow you demonstrate what the potential client will receive from a well-structured campaign (e.g., increased hits to the website, more visibility of executives in trade publications, etc. ), while providing more general outputs. Keep in mind that the outcomes are what they're paying for in the first place. Insert a statement that says that any ideas presented for consideration by the agency remain at all times the sole property of the agency and can only be implemented by the client in the event of a signed contract. This isn't a guarantee that your ideas won't be stolen, but it will hopefully make them think twice before using them. Keep in mind that a proposal for services is really an overview, and the plan is something that a client should pay for. It's the first step in the client/agency relationship during which trust and rapport are built, and if you're lucky, the beginning of a long-term, symbiotic partnership. 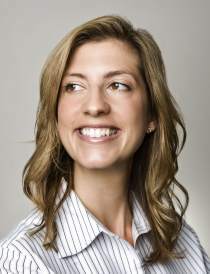 Jessica Sharp is co-founder and principal of Maven Communications.